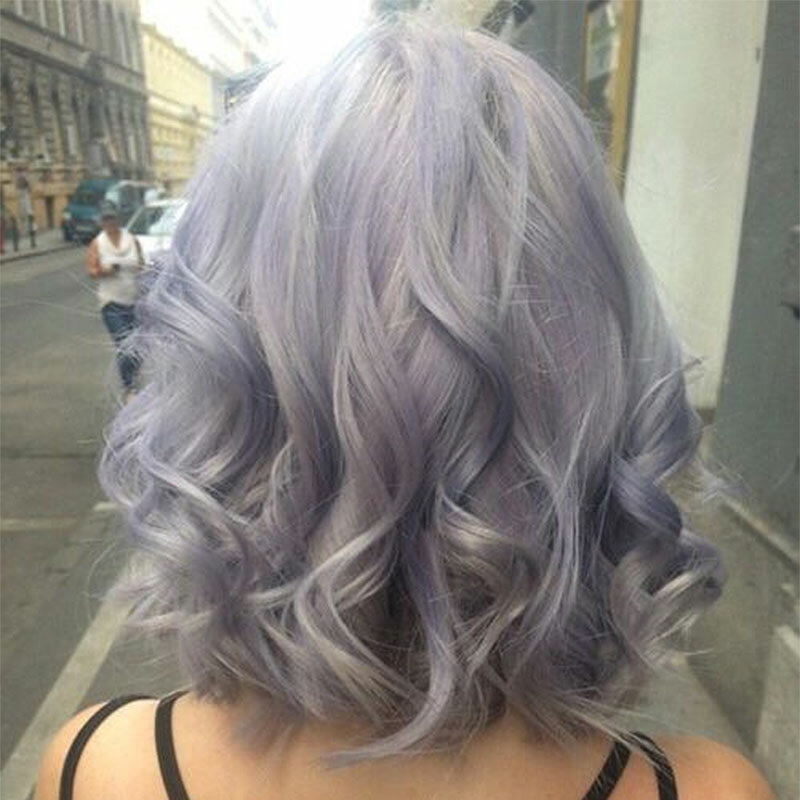 Lavender was one of the original pastel hair styles when it became a huge trend in 2014, and we can absolutely understand why it is the most popular, classic pastel shade. Lavender is feminine, mysterious, not too girly (such as cotton candy pink), but not too wild either, such as blue or green. It’s a perfect shade for you if you want to try out something new but nothing totally crazy, and it’s easy to achieve if you have blonde hair. To make it more interesting, create an ombré illusion. Ombré styling works great together with short hair, the only trick is to find lavender shades with the same undertone: start with an icy, almost silver shade on top and make it darker towards the end. Obviously to make ombre work for you you will need a little bit of length so don’t expect to get the “WOW” effect if you have pixie short hair cut.